At the beginning of this drama, I thought it would be something a bit darker and I was afraid to start watching because I am a giant scaredy-cat; I can't even watch horror movie trailers! But, I am so glad that I started watching this drama, even though I haven't seen the first series. 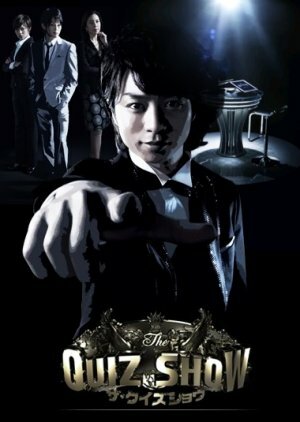 Part of me watched this because of Sakurai Sho and Yokoyama You, but as the show went on, all of the contestants and production crew and supporting roles became super interesting. Sakurai Sho took his acting skills to a completely new level; at some points, I even forgot it was him as MC Kamiyama/Kamiyama Satoru! Yokoyama You is also really, really good at portraying the "evil/bad guy" character! I was engulfed in this show from the beginning, I absolutely love this show!